LOBO used for RADAR maintenance. LOBO Systems customer MARIS explains unique RADAR application. 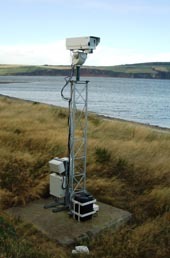 MARIS has a multi disciplined team of engineers to provide complete RADAR turnkey surveillance systems. 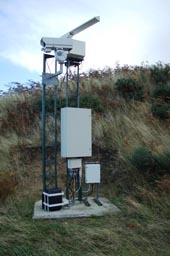 Refurbishment and modernisation re-engineering on ATC Radar systems such as Marconi S511 (AN/FPS-509), S511H and Plessy ACR 430, AR15 as well as many other models from manufacturers such as Kelvin Hughes, Litton and Sperry. We offer Service and Support Contracts for the complete RADAE surveillance system as well as attendance on a time and material basis. We purchased the LOBO System having met with them at Maintech trade show, in 2012, one year ago. Following an initial consultation with LOBO we agreed an entry level configuration and additional training program. 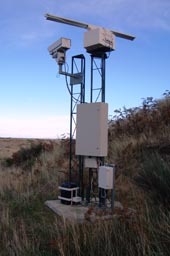 The LOBO System was immediately deployed at one of our radar sites belonging to the MOD.The radar is based on the coast, and it has been exposed to a salt laden atmosphere continually. We used the LOBO System to repair, realign and reconfigure wave guides. We are delighted with the system and have purchased a vice attachment which makes it easier to repair the wave guides whilst working at height. As scientists, we have soft hands, which are not subject to abrasion when handling and working on the structures. The plated surfaces have remained tarnish and oxide free, resulting in a system that is a pleasure to deploy and work on. We have added to our LOBO system since purchase, and intend to continue to expand with it in the future.